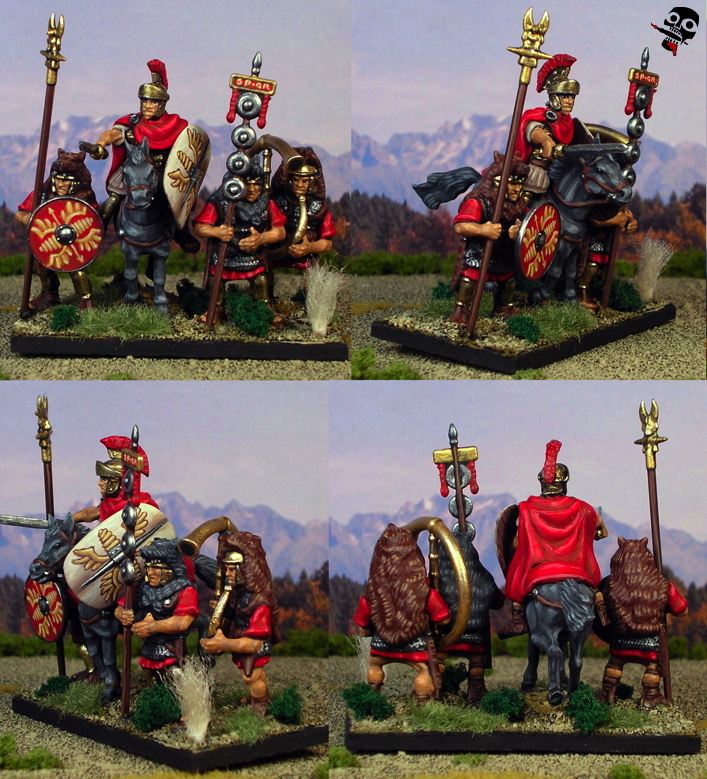 My blade general for my 'Civil War' themed Marian Roman DBA army in 28mm! Thanks to Wargames Factory's sale, myself and a few buddies picked up Marian Roman armies, and here's my general element! I wanted a commander other than old Julius. After considering it, I opted to convert one instead of buying one, and using an extra WF horse and command figure, this is what I came up with. It's based on Mark Anthony from the Osprey Philipi 42BCE book, but it meant to represent either Pompey or Brutus... Basically, any Roman commander who fought for the republic and against Ceasar's empire! Overall, I am excited to continue work on this project!